Scissors and clotted sponges left to protrude from a uterus. A leather harness strapping the arm to the face, a flap of skin sewn to cover the hole where the nose was. An open abdomen in flames. You have never seen the body like this is the kind of promise a carnival makes, and wheeling through The Knick’s ten episodes comes a caravan of sufferers on stretchers. What’s grotesque is how easily they could be healed. But this is the early twentieth century: surgery’s barely moved out of the back room of the barbershop, and most regard the hospital as an overcrowded rest stop on the way to the grave. The story centers on the Knickerbocker Hospital in downtown Manhattan, where chief surgeon John Thackery commands the attention of everyone in the surgical theater. High on hubris and liquid cocaine, he experiments with radical procedures, using instruments he designed (and, in the basement, smelted) himself. Thack is the ringleader of the place he calls his circus; so too does Steven Soderbergh stand front and center of his show, having abandoned all pretense of retirement from the biz. Half the fun comes from watching the director slum it so happily at Cinemax, his camera scurrying down cobbled streets, up tenements, into basements as he follows the characters conducting their dirty business. He shoots the Knickerbocker’s spaces in blinding whites; below, where assistant chief Algernon Edwards runs a secret surgical ward for black patients, everything is brick and candlelight. Wait, there’s more: the hospital embezzling administrator, deep in the red to a loan shark, shuttles between backrooms and the whorehouse. The ambulance driver robs the dead of their jewelry. The Catholic nun provides abortions. 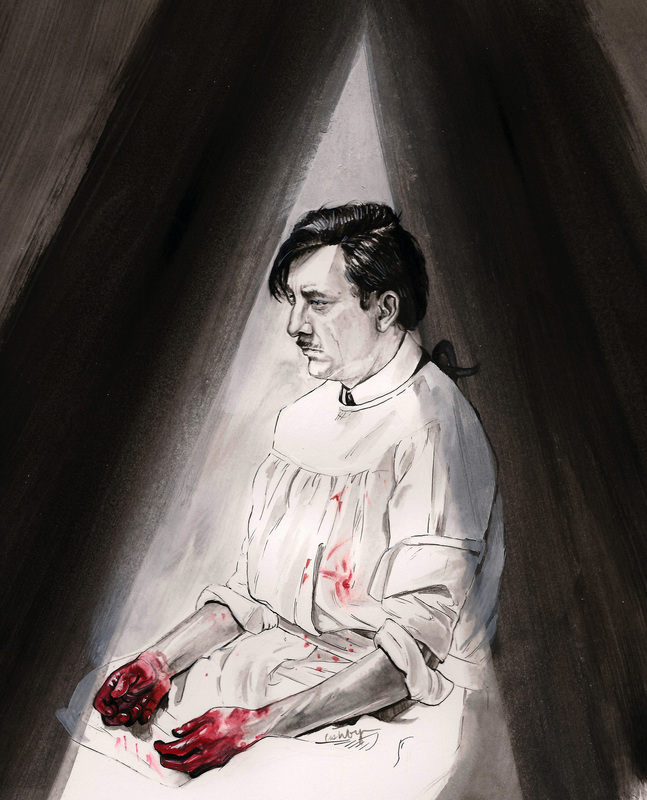 The Knick fills out its running time with stylized little melodramas: a mother gone mad with grief, sent straitjacketed to the asylum; the demure nurse, seduced into the heady world of narcotics; the first-wave feminist with a cadaverous fiancé and lecherous father-in-law; her father, the shipping captain, making ruinous business deals out West. You could decry these characters as cardboard, but that’d be missing the way they’re cut so pleasingly into Gothic silhouettes. Pulsing with the alien hum composed by Cliff Martinez, The Knick‘s vision makes the past feel excitingly undetermined. Mad Men had the look of a museum exhibit, faintly necrophiliac in its obsessive curation; The Americans’ bottomless wig closet seems like a sly joke on era-appropriate production design. Here, the detail—down to the color of the dirt dressing the set—suggests another direction for the period piece: Soderbergh makes sepia look squalid. In taking up the small screen as his canvas, the director showily brings his talents to bear on another, downmarket, television genre: the medical drama, which makes the body into a metaphor. Lying back, side characters count back from ten and are rendered inert, transformed into vessels for the principals’ emotions. Each physical ailment symbolizes some sticking point in an interpersonal conflict; every organ is telltale. Though the work be bloody, the surgeons sheath themselves in papery cornflower blue, and double-glove their hands in latex; the swelling indie ballad in the background offers another kind of local anesthetic. The windows opened into skin offer views as cheerfully decorous as a class trip to the aquarium. By the end of the hour — whether or not they survive — the cases turn back into people, with skin stitched up and hands held by teary loved ones. In The Knick, the body is mystery meat. Squelching and sticky, it has a reality that repels abstraction and houses a dark disorder that wrecks any pretensions to mastery. Soderbergh, speaking to critic Elvis Mitchell, offered a theory of the medical soap’s appeal, that “proficiency is compelling, especially on-screen”—but that isn’t quite right. Proficient describes the staff of Grey’s Anatomy or ER. It’s a word for hands whose motions have had precedent. Mortality has a different density for the patients of the Knickerbocker, where each survival is a miraculous theft from an undefeatable god. All but making it up as they go along, Thackery and Algernon force their way into comprehension of the flesh. Only the viewer knows how little they know; that’s what bates our breath. 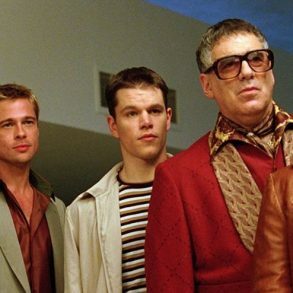 The characters constantly deal in bodies, extending a recent theme of Soderbergh’s work. His films from the past few years could be roughly constellated via a shared interest in the body’s uses: for athletic feats in Haywire and artistic ones in Magic Mike; doped up (Side Effects) and for sale (The Girlfriend Experience); walking virus reservoirs (Contagion). Lightly arching over the show—like a structural beam; necessary but not much to look at—is a plot concerning the hospital’s financial future, since it caters to poor and immigrant communities while its competitors have fled uptown. Ambulance drivers from rival institutions brawl over patients; the Knick’s administrator sells the goners to universities, and pig ashes in urns—“cremation services,” he claims—to the bereaved. Med schools make bids for cadavers to practice on. For lack of them, Thackery and his blushing protégé, Bertie, hire a pair of prostitutes from his favorite Chinatown opium den to help refine a surgical technique, in which a rubber balloon is inserted into the uterus; they do it all Sunday night. Thack’s rakish joke about whores being cheaper than corpses has a nasty edge that cuts a layer deeper than the show’s equipped to understand. So I’ll spell it out for the gallery: it’s racial. With the last episode signposting setting up that the kingpin Ping Wu — a Yellow Peril fever dream, armed with ludicrously Oriental (but, I’m sure, period-perfect) blades — as the Big Bad of season two, the decoratively naked extras feel like a reminder: Hollywood, too, prices some bodies higher than others, allowing some to become faces while others remain props. 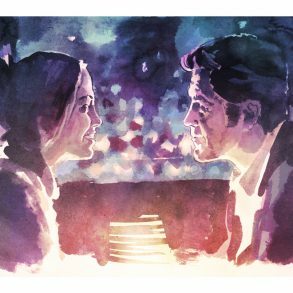 If the medical drama leverages life-and-death stakes to wash viewers in emotion—those great, bathetic waves of romantic agony and release—Soderbergh refurbishes it into a delivery system for sensation. He earns the descriptor “visceral.” No show has ever made me so aware of my stomach acid, my clenched jaw. 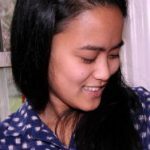 I couldn’t eat while I watched it, not because the sights were revolting—though they were; whole scenes seemed built to suspend the viewer in nausea—but because I was too distracted by how food felt, how slowly it went, slipping down my esophagus. Though Thack, like his colleagues in network TV, sees the operating theater as an arena for his ego, its primary use is as a brightly lit stage for Soderbergh’s tableaux. The doctors scrub in by plunging their hands into a shared series of basins, no one thinking to refresh the pinkening water. They go forearm-deep and bare-skinned into the sick. Blood is vacuumed by hand crank, filling glass jars in splutters. The man’s eyes stay open but his face goes slack, as he gets a hit of cocaine straight to the spine. With at least one grisly show-stopper per episode, The Knick shares some DNA with Bryan Fuller’s Hannibal. Both offer up schoolboy thrills, the jaw-drop of getting away with something. But in Hannibal, the body is the site of a voluptuous, Baroque violence so aestheticized it becomes a ghoulish parody of connoisseurship. Thackery’s jagged-edged interventions into the bodies of the underclass are a world removed from Dr. Lecter’s craft butchery. Soderbergh keeps things gleefully ugly. The devil’s in the details, and every second spells death. Soderbergh’s is an assertive style, designed to stand out in a television landscape which tends to treat cinematography as a secondary concern—competent, efficient, studiedly neutral to the point of invisibility. But The Knick’s marquee talent is its director, not its writers; we know who’s running the show. It feels insistently visual in a way that not even Breaking Bad or True Detective was, with their much-lauded and forceful displays of aesthetic unity. Here the style hangs less naturally on the at-times skeletal scripts. Not content to just prettily frame the dialogue, the images seem almost to tug against its exigencies. Soderbergh’s direction has a childlike impatience, a willful wonder. If a scene calls for an argument among the doctors, the camera will watch a nurse pulling down the blinds; if another is about Thack’s presentation to his colleagues, it will stalk up the aisle toward him, rather than study the podium or survey the audience. Though time is precious in television, the second episode features a single take showing the staff’s converging commutes to work. The sequence carries absolutely no water for the plot—it just sets the tempo. It’s a superfluity. It’s swagger. Ironically, given the show’s serious investment in the lurid, what Thackery can’t see proves his undoing. Coked out, manic, he convinces himself that he can cure a little girl’s anemia by giving her a blood transfusion. He hooks up a tube between them (he’s certain it’s got something to do with platelet size; he hasn’t read his rival’s research into antibodies), and she dies silently and within seconds, her blood clotting inside her. It’s the opposite of spectacular; it’s invisible. Then the last minutes of the finale, with a humbled Thackery recuperating in rehab, smash the reset button for the next season—punctuated by Soderbergh’s indulgent rack focus shot on the heroin bottle on the bedside table. The episode also includes an abortion, a wedding, and a vote to move the hospital to a posher lot, but these developments seem like so much rearranged furniture. Thack will be Thack, track marks and all. Soderbergh claims that The Knick should be experienced like cinema, a ten-hour movie, but its familiar, recursive narrative beats are made for broadcast, bidding for renewal. This returns us to the domain of difficult men, home to the usual suspects: the bad bosses, put-upon lovers, enthralled underlings. Soderbergh might never have aimed to break new storytelling ground, as he marked off the territory with more cinematic stakes. It’s unfair to impose a different standard of ambition; his show’s a looker, not a talker. Yet if The Knick’s innovation lies entirely in anti-nostalgic styling, it’s telling that this aesthetic doesn’t eschew glamor. There’s a lot of glitter in grit, and glory in those misunderstood guts. Like many shows that valorize singular, anti-heroic genius in tough industries, The Knick doubles as an allegory of its own creation—and injecting history with the adrenaline of the contemporary has a way of making our present feel exhaustingly hard-earned. Some fictions about the past, in reverse-engineering the status quo, reveal a subtle conservatism. They teach us that we mustn’t take for granted what we have. They ask, what more we could want? As with medicine, so with culture: it took so much for us to get to now.